Installing sash windows in Cardiff homes is an excellent option for both period homes looking to maintain character and contemporary builds wishing to add traditional features. 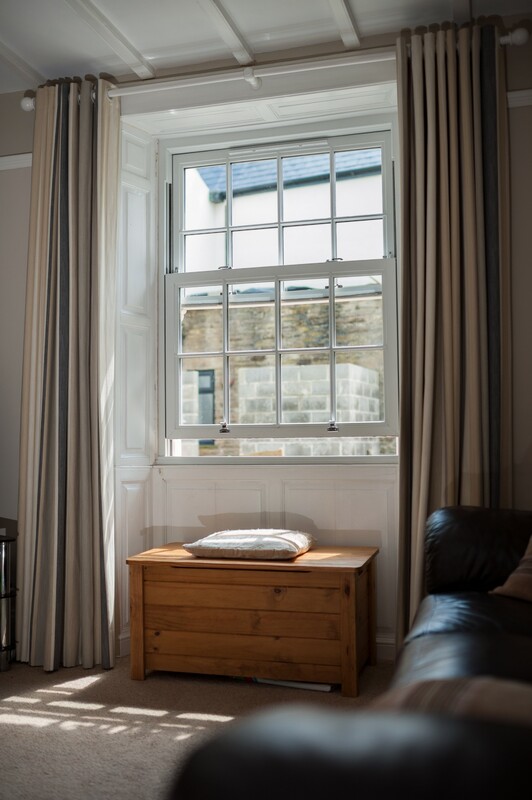 No matter what style of home you own, a sliding sash window from Inspire Windows will be energy efficient, structurally reliable and be attractive to look at. Our sliding sash windows offer extremely minimal maintenance, as their UPVC profile will never need painting or varnishing – a perfect replacement for timber frames, especially if you lead a busy lifestyle. A sliding sash window is often thought of as a period feature in a more traditional home, but with the advancements in development technology and Quickslide, new builds and homes built more recently in Cardiff can also benefit from a touch of character. There are a variety of benefits to installing sash windows in Cardiff, for example, each of our sash windows comes fully equipped with an easy clean facility making them a very practical option. Tailor made to suit any height or width, a sash window makes even tricky locations such as behind the sink, easily accessible and attractive. We also offer ‘A’ rated frames as standard to give you complete energy efficient, heat retaining double glazed windows. No cold spots or draughts will enter your home, even in the coldest winter months. Incorporate a more traditional aesthetic by opting for Georgian bars or external astragal bars. How about a finish with sash horns to complete the look of your home? We have a vast array of colours and finishes to choose from that can match or contrast your existing property. Features you may already have such as stained glass or bevels can be included with your new sash windows to create the perfect overall design and appearance. Obscure glass is also available for complete privacy – a great option for your bathroom. Feel fully secure thanks to the high security insurance backed Police scheme. Covering our enhanced locking systems from Yale you know your safety hasn’t been compromised. A friendly and professional double glazing company, we specialise in fitting quality sash windows in homes in Cardiff and the surrounding areas. We are proud to be partnered with Rehau who have fabricated the most characteristic and distinguishable UPVC sliding sash windows available in England and Wales. Say hello today to a member of our experienced and friendly team to find out more information on sliding sash windows in Cardiff. Alternatively, Start A Quote to see just how little you could be paying for brand new sash windows!